Platform # 4 aims at building value around cultural heritage and sustainable tourism as engines for sustainable development. The academic offer in this field trains experts in the conservation of cultural heritage, as well as it provides graduates with the competences required to fill highly qualified roles of responsibility in tourist destinations and tourism companies, tour operators, travel agencies, hospitality, tourist attractions and events organization firms, nationally and internationally. The University of Roma “Sapienza” leads the platform in close partnership with the University of Bologna, the University of Firenze, the University of Roma “Tre”, the University of Napoli “Orientale”, the University of Pisa, the University of Torino, the University of Cagliari. The University of Milano, Polytechnic University of Milano and University of Salerno also support this platform. Citizens of Cuba, El Salvador, Egypt, Eritrea, Jordan, Lebanon, Myanmar, Sudan and Tunisia - who are resident in their home countries - are eligible for the scholarships. 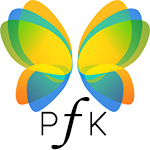 According to the Qualifications Framework for the European Higher Education Area and the Italian higher education system, PFK PhD programme awards a PhD Degree. Academic activities will last 36 months, from October 2019 to October 2022. 2. Submit the required documents to PFK.applications@aics.gov.it. - Incomplete applications will be rejected. Candidates can apply exclusively to one PhD programme.